MTN Uganda has today announced sponsorship of Jose Chameleon’s “Legends Saba Saba” concert slated for Friday, 7th December 2018 at the Lugogo Cricket Oval. Chameleon, whose music recently crossed the 20-year mark, has been one of the long-term musicians that MTN Uganda has supported over the years. According to Valery Okecho, the Manager Corporate Communications at MTN Uganda said that for the last twenty years, the telecom company has supported the music industry and continues to do so. 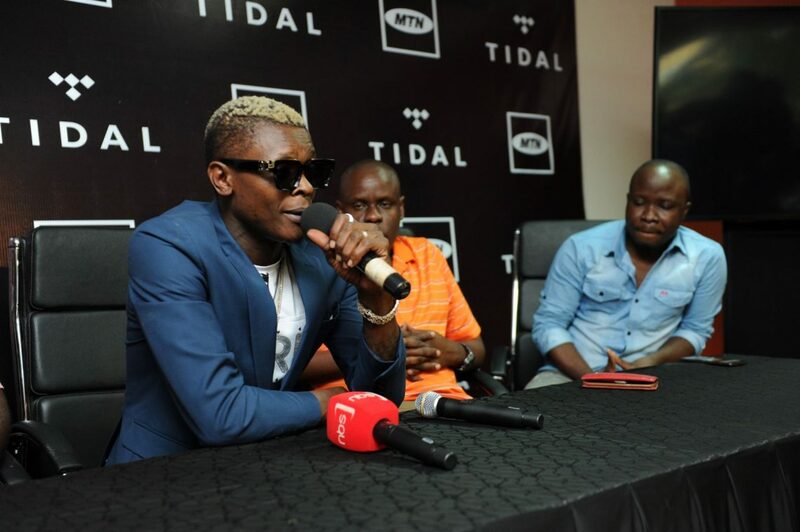 “MTN and Jose Chameleone have had a strong working relationship over the years; MTN has benefitted from having Uganda’s biggest star entertain MTN customers during MTN events while Jose Chameleone has earned severally from his performances or album launches sponsored by MTN,” Okecho says. Chameleon often performs at several MTN sponsored events and is known for lighting up the crowds due to his high energy and electrifying performances. On top sponsoring his concert, MTN Uganda also allows customers listen to high-quality music through its partnership with TIDAL. Musicians have the opportunity to earn from their music through TIDAL and with the future of listening to music being online, streaming services will be a source of income for artists. “Jose Chameleon is one of those musicians one can find on TIDAL. It is possible to listen to his music even after the concert. There is also a catalogue of local musicians that customers can listen too. It is an opportunity to listen to their music and also allow them to earn some money, which in turn is an incentive to make more music,” Okecho adds. MTN Uganda this year celebrated 20 years of connecting Uganda and it continues to do that through providing communications services and through events that bring Ugandans together like music concerts. Tickets for the concert can be bought at MTN Service Centres at Shoprite Lugogo and Kampala Road. A bubbly chatterbox on the streets of campo. I am paid to gossip, duh!